Broadband @ Home » Broadband News » Who Has the Fastest Satellite Internet? For businesses and users in rural regions, satellite Internet service is a must-have, as other options such as DSL or cable broadband just aren’t available. Mobile coverage can also be spotty with substandard speeds, especially when you can’t find 4G service. So searching for the fastest satellite Internet is a requirement to stay connected at the best possible speed when in the hinterlands. Considering the strong demand for broadband connections in rural regions, satellite Internet service ends up costing more per bandwidth when compared to DSL or cable. But sometimes you don’t have a choice when it comes to high-speed Internet. 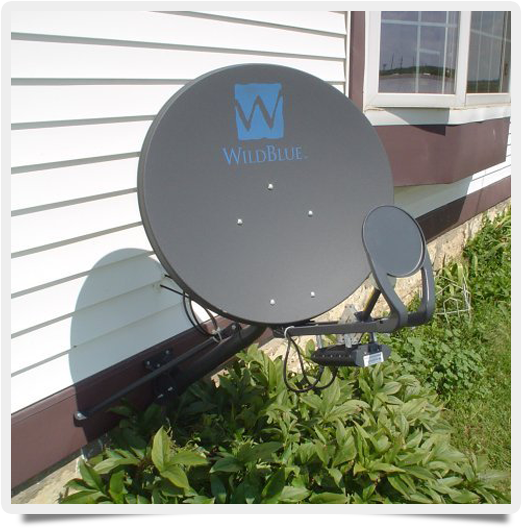 A few companies specialize in providing satellite Internet services: most notably, the satellite television company Dish Network and its DishNet service, and HughesNet, which shares a common corporate history with DirecTV. HughesNet used to be branded as DirecWay and, before that, DirecPC, hinting at the closer relationship with their former corporate brother. Despite the relative fame of those two companies, the fastest satellite Internet service arguably comes from a new service formerly called WildBlue and now branded as Exede Internet. Exede Internet offers download speeds of up to 12 Mbps for all plans, which trumps most of HughesNet’s service tiers, although the latter recently introduced a 15 Mbps service called Power MAX. Power MAX is priced at a premium compared to HughesNet’s typical service offerings, which normally provide download speeds of 5-10 Mbps — the same speeds also offered by DishNet. One very important thing to remember when pricing satellite Internet services is that they all require thresholds that limit the amount of bandwidth you can use on a monthly basis. Exede offers unlimited bandwidth during the non-peak nighttime periods, and all companies give you the option of paying for extra bandwidth once you’ve used up your monthly allowance. So when looking for the fastest satellite Internet, Exede Internet is probably your best choice, unless you want to pay extra for the premium HughesNet plan. Either way, expect these companies to continue in their battle to be the fastest (remember: check your internet speed regularly with a net speed test provided by BandwidthPlace.com).